When we can allow ourself to take a break from our busy life and feel the energy around us… we will feel the unrest that continues to play out globally. It’s been going on for the last 14 years but intensifying and coming closer to home. It has the tendency to make us panic, feel personally attacked and start to worry about our safety and future. It reminds us of our own past wars and fight for freedom from power hungry leaders in the western world, cruel barbaric dictators who desired nothing more than to control everyone and bring about their own ideal world. We have sacrificed many of our men & women to bring about a glimpse of freedom and have founded our western democracy, although it’s a far cry from true freedom, we know we don’t want to experience any more pain and suffering, but are we ready for true freedom? or are we going to continue to play victim in the old Human power game. The recent attack on Paris has brought the unrest to our shores. The Middle Eastern fight for freedom has created thousands of refugees who are running for safety and to find a new home in the lands of the free. Unfortunately, the great exodus brings along bad apples; to try and entice us into their fight. These radical fanatics are not fighting for freedom, but POWER, using religion as an excuse to create they and us; the old Human game of monopolising POWER through FEAR. Thank goodness some of us realise that it is because of our own radical and negative side of society and the individual that fanatics continue to target us; firing at our weak and dark parts, to fuel their fire. We understand that like attracts like, violence attracts violence and know that warfare is not the answer because of our own experience. Unfortunately our leaders continue to respond in the old way, fuelling the fire. 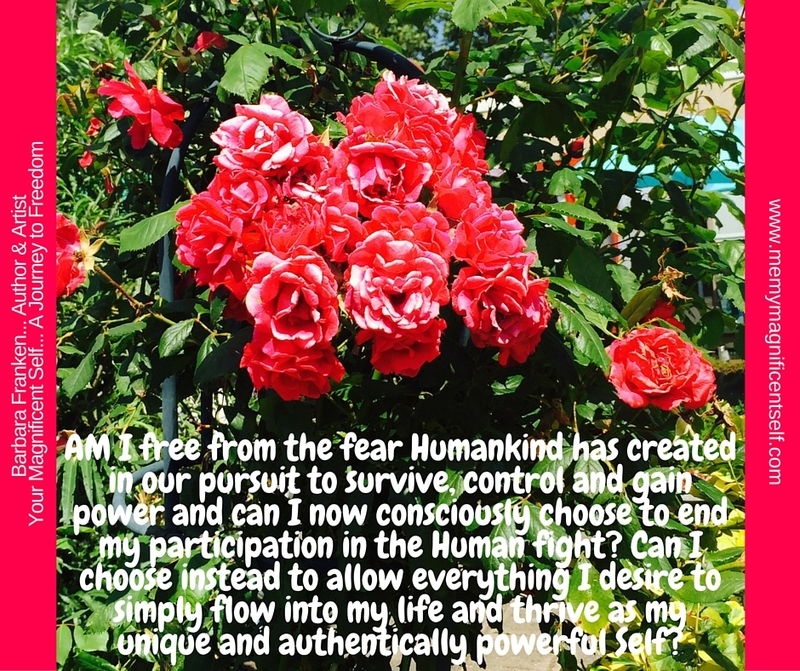 We have to ask ourselves, for what… because they know it doesn’t work, it only holds the old pattern of control tightly in place and creates more FEAR. So how can we end this cycle of POWER and FEAR? How can we best respond to what is happening? How can we stop our knees shaking and feeling unsafe? How can we truly be free. There is no other way than to be conscious and aware of ourself, observing ourself, feeling and sensing our own passion and desire and when we are clear and understand ourself we can serve ourself. When we realise we are loving beings of light at our core, we can begin to welcome home and embrace our own darkness and allow ourself to shine brightly in the world. Knowing light only attracts light. Knowing light shines on darkness and dissolves it. Knowing we attract everything we are, into our life. Fear attracts more fear. It is the choice of each person to choose how we want to live, in fear or in love? My question to YOU is are you ready for true FREEDOM? If the answer is YES, then take this opportunity of unrest to focus on yourself, be clear of your own darkness, weakness and fear and choose to LOVE all of yourself, allowing your light to dissolve the darkness and radiate light out into the world. Be conscious of yourself as a beacon of light that only attracts more light into your life. Be conscious of your part in the Magnificent Consciousness that you are and all life is; a powerful being of light that creates your life as you desire in each moment. For the last 35 years I have been on my own journey, discovering the Magnificent Consciousness we live in and the freedom I found within it. 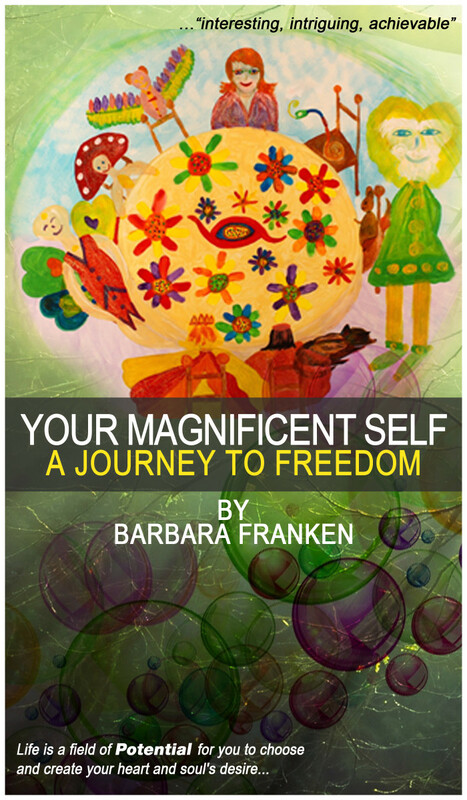 I have written about my experience in my first book Your Magnificent Self… A Journey to Freedom. My book is now a creation of consciousness of its own and is as deep as the Heavens above and the Earth and Body below and will inspire everyone to open their heart and realise their own magnificence; the love and light each person indeed is and their soul’s desire to experience a most loving, joyful and harmonious life, here on Earth. 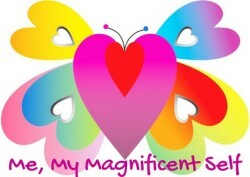 We are all Magnificent Master Creators, but dare we all choose to experience it NOW amidst the turmoil? Well said, Barbara. Love over fear always. We are beacons of Light. “Embrace our own darkness and allow ourselves to shine brightly in the world. Knowing light only attracts light.” Love it. I look forward to reading your book, Barbara. A casual visit to any of the social media sites and a disinterested ramble through some of the posts and comments, is enough to drive home the fact that the groups we align ourselves with is only incidental and that all of us are playing out the same emotions of our ego, universally the same, of attachment, fear, insecurity , guilt , hatred and so on which has been going on for as long as we know of our history on this planet. It makes absolute sense therefore that our freedom can never come from the same attempts at balancing the equations of power-play , which is ever so fragile and bound to be upturned with the slightest variable….whether it be in the name of religion, national pride or ethnicity. What is so affirming , on the other hand that more and more people are realising this and adding their voices to the song of harmony. Much love to you Barbara. The glimpse of freedom comes from being aware of this… Choosing to participate in things consciously… And allowing ourselves the freedom create our heart and soul desire… No matter the goings on, as these will not stop until the last heart chooses to awaken from our human game.